two-dimensional drawing, and from that, a mass properties engineer would compute weights, centers of gravities and moments of inertia, and then another engineer would perform a stress analyses at the points he considered critical. Materials were selected to endure the stress based on their yield strength and a factor of safety. The factor of safety was an empirical number (educated guess) derived over years of experience, and varied depending on whether the stress was constant or cyclic, and what the implications would be in the event of failure. After release from engineering, the two-dimensional drawing that completely described the part would be given to pattern makers and machinists would then make the part. For parts that were produced in production quantities, CNC machines were programmed from the drawing. Testing was an important part of the engineering and manufacturing process as it would validate a new design and many times find a weak point that was overlooked or an error that occurred during design, analyses, pattern making, or machining. Results from testing were reported to the design engineers and they would make changes for the next iteration. In a complex assembly, every part is either over-designed or under-designed. This method of engineering and manufacturing is adequate for static design and will continue, but it falls short of modern engineering standards for dynamic design. Today’s modern engineering for dynamic design is completely different from anything in the past and is accomplished by solid modeling using computer programs such as SolidWorks, ProE, and Ideas. A solid model is not something you can hold in your hand but instead is a three dimensional image generated on a computer. In modern engineering, the solid model describes the part instead of the drawing. Today’s drawings are used to supplement the solid model by calling out notes, surface finishes and other things like Geometric Dimensioning and Tolerancing (GD&T). 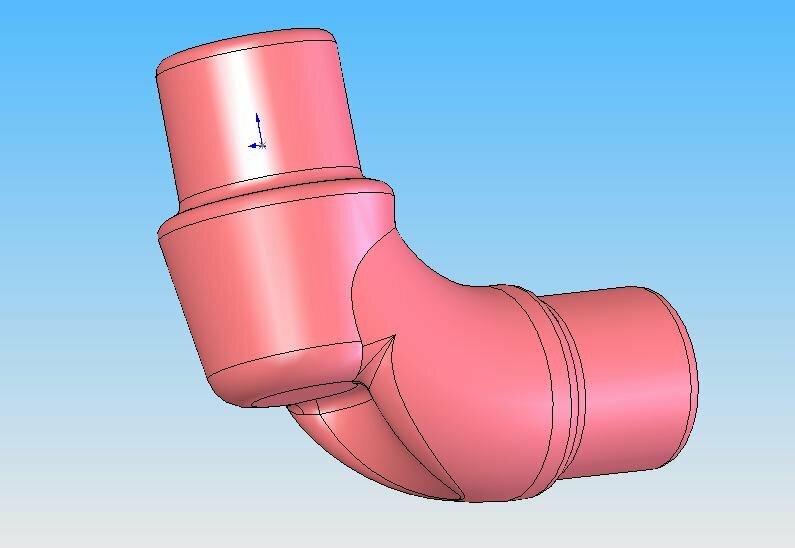 Today, a design engineer creates a solid model that can then be analyzed for stress and strain using Finite Element Analyses (FEA). FEA works by dividing the solid model into a finite number of very small elements. Each of these individual elements is computer analyzed for stress and strain. Modern engineering consists of several iterations of solid modeling followed by FEA to optimize a design. Materials used in dynamic applications are selected based on their fatigue strength, which varies with the number of cycles of stress. Fatigue strength of a material is shown on a S-N curve where S is stress (vertical axis) and N is the number of cycles (horizontal axis). Parts that have stresses and number of cycles to the right of the curve will eventually fail (when the number of stress cycles is reached). Parts that have stresses and number of cycles to the left of the curve will have infinite life. The Fatigue Endurance Limit of a material is that level of stress where the material will never fail even with an infinite number of cycles. Fatigue properties of materials were not well understood until the space race. Launch vibrations (many load cycles in a very short time) would cause failures, and engineers realized that the strength of a material is also dependent on the cumulative number of cycles of stress. Testing today is not as important as in the past, because of the improvements in analyses and the selection of materials based on their S–N curve. Solid models are also machine shop friendly. Modern pattern makers and machinists easily convert the solid models into instructions for CNC machines. The chance for errors is minimized. Casting wall thickness variations and core shifting is a thing of the past with CNC machined core boxes. Once a CNC machine is set up, every part produced is identical. SolidWorks 2004 was used for this design study. Figure 1 is a computer generated solid model of the exhaust port core for the redesigned Model A engine cylinder block. This is the part that a foundry would create as a sand core, and then pour gray iron around it. After the iron solidified, the sand core would be broken out and the resulting cavity would become an exhaust port cavity in the cylinder block.